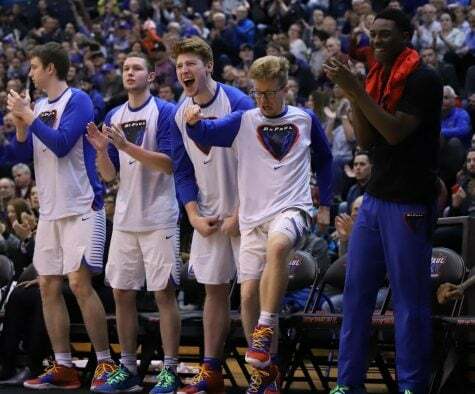 Billy Garrett admitted it was “kind of weird.” The DePaul guard watched as his teammates stormed the student section at Allstate Arena Tuesday to celebrate the Blue Demons’ best win of the season, a 77-70 upset over No. 11 Providence. DePaul will take what it can get. 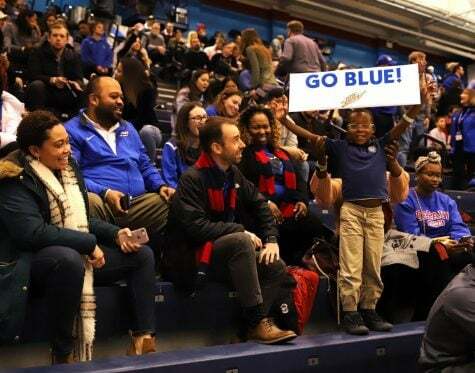 During the Blue Demons’ first year under head coach Dave Leitao, there haven’t been many moments to celebrate, but it has been an odd mix of progress amid frustration in what has been largely another losing season. For every step forward, like knocking off Providence, the Blue Demons can be expected to have a setback — and Saturday was no exception in an 88-66 blowout to Creighton. The Blue Demons’ fell to 8-15 (2-9 Big East). 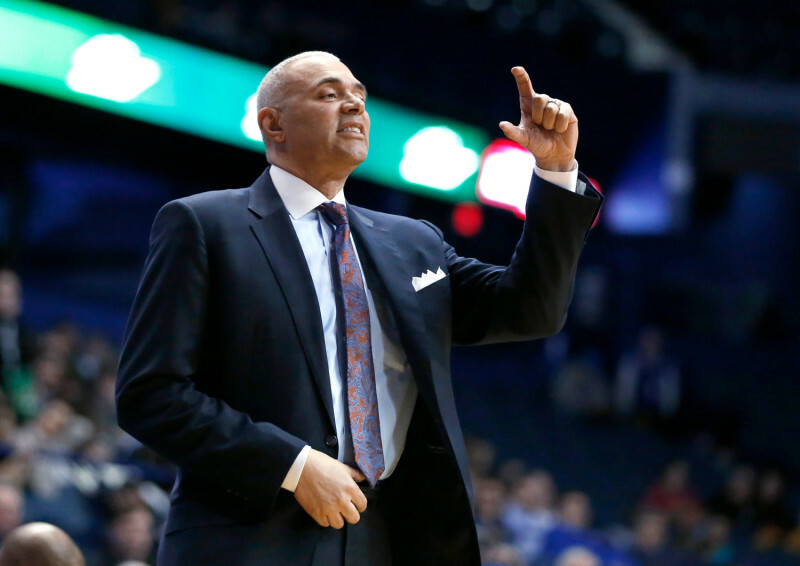 So, just who are the Blue Demons under Leitao? Leitao said that among the group, there has been a positive attitude even in defeat. 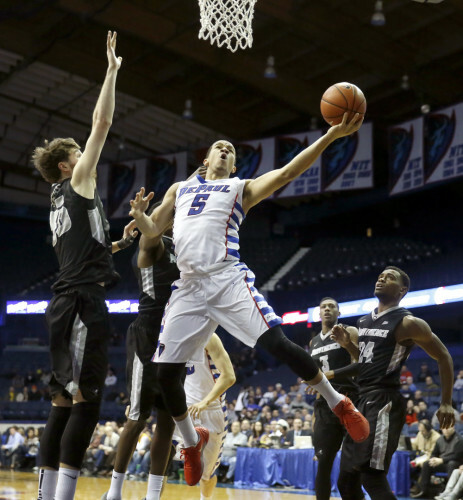 That attitude hasn’t always helped the Blue Demons in rebounding from the moment he took over for former head coach Oliver Purnell, Leitao stressed they needed to change the culture. Part of doing that, he said, is about building trust. The formula for winning games, though, can be complicated. When Leitao had success at DePaul in his first stint from 2002 to 2004, he did it primarily with strong defending and rebounding teams. This season, DePaul has become better in those areas. DePaul’s defense lets up 72.9 points per game compared to 73.6 per game from last season under Purnell. 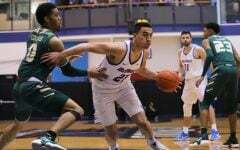 At an adjusted defensive efficiency per 100 possessions, DePaul ranks 154th in the nation compared to 228 last season, according to the advanced statistic website KenPom.com. And for the first time since the 2006-07 season, DePaul also has a positive rebounding margin at +1.9. Yet, DePaul has taken a nosedive offensively. They rank No. 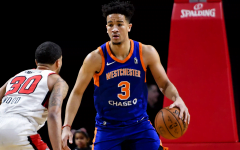 178 in adjusted offense efficiency (103.1 points per 100 possessions against an average team) from 111 (104.8 points per 100 possessions against an average team) last season. In the pure number of points scored per game, last year’s squad averaged 69.4 to 68.7. The real drop off, however, is in turnovers. The Blue Demons turn the ball over at a staggering 21.3 percent per 100 possessions to just 19.8 percent last season. At a 21.3 percent clip, that puts DePaul at No. 326 in the nation out of an eligible 351. 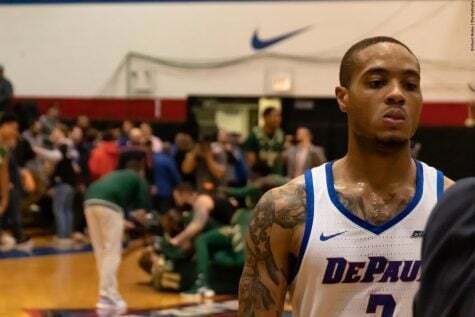 When DePaul has had success on offense, it’s largely due to Garrett and senior Myke Henry, the two top scorers on the Blue Demons. Coincidentally, those two are the only players on DePaul’s rosters that were thought of as top 100 players while as recruits. Henry, in particular, has been stellar for the Blue Demons. He’s averaging 15 points per game and had a season-high 27 points against Providence. Doing it the right way circles back to the often mentioned changing of the culture. Although more than midway through his first season, Leitao admitted he’s still learning new aspects about his team. It has led to Leitao throwing out different lineups, including eight different starting lineups. As of late, he’s gone with a preference of four guards and only one big, to some success. As Leitao searches for the right match-ups, inconsistency has still reared its head. There are certainly times when the Blue Demons look like a bad basketball team, a run-of-the-mill experience for about the last 10 years. Only eight wins this season further suggests that they are. But yet there are moments when wins over teams like No. 11 Providence and then No. 20 George Washington display that DePaul is building towards something. 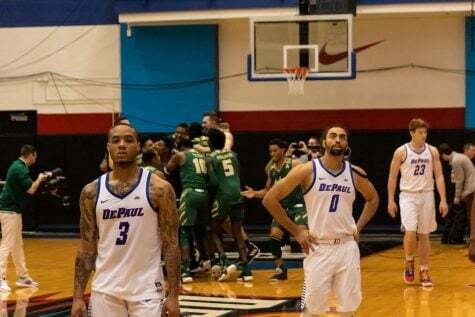 This is the first time since the 2006-07 season, the last DePaul team that played consistently at a quality level, that DePaul has beaten two teams ranked in the top 25 during the same season. 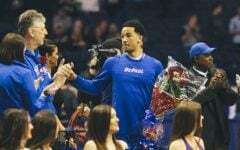 Garrett said the most enjoyable aspect of DePaul’s win over Providence was the moment he walked into the locker room and saw his teammates’ faces knowing they got the win. 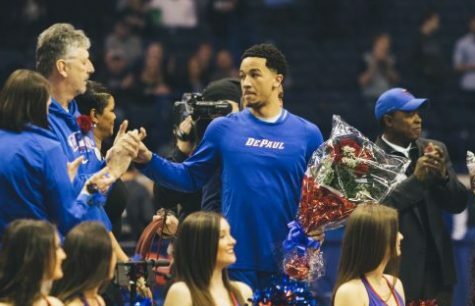 For a player who’s suffered 56 losses as a Blue Demon to 32 wins, Garrett said it hasn’t been easy, especially as he’s learned to become this team’s leader. Leitao was tasked with improving this season with mostly the same players from last season, outside of a major contributor in freshman Eli Cain. DePaul won six conference games and finished at 12-20 in Purnell’s last year. Even then, DePaul athletic director Jean Lenti Ponsetto said that record underachieved. In the moment, Leitao said his team was fighting in the Big East for opportunities to win and to earn respect.